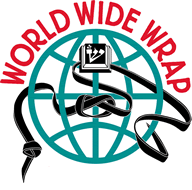 Join Temple Sinai Men’s Club as tens of thousands of men, women and children around the world wrap Tefillen together. Whether you wrap Tefillen daily, once in a while or have never done it, please come and be part of a fun and judgment free environment where one helps another learn and everyone has a good time. Tefillen will be available for your use, so don’t be shy. Let’s make this our biggest turnout yet. We will start with a light breakfast, and then on to learning about Tefillen, followed by a short learning service and refreshments.